If you’re looking for a new app to try, you’re in luck, 17 iPhone, iPad and iPod touch apps just hit our database. 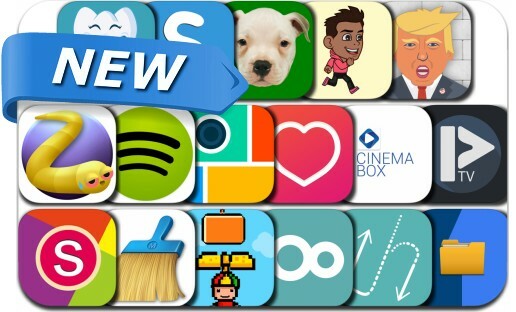 This new apps alert includes Super Smash the Office - Endless Destruction!, Microgolf Masters, Like Challenge, Bubble Fluffy, Video Ghost, Slithering Worms Battles, Pouya, Who Cares With Me, Collageable, Pic Grid, Running Man Challenge, Display Recorder, Picarto.TV, Explorer Manager File, and many others. Super Smash the Office - Endless Destruction! A dream come true revisited! Endless destruction! 1. Smash the office 2. Beat robot guards 3. Run away from the wall! Do you have smashing talent? Who Cares With Me - InstaDetector!